According to a news release by the American Heart Association (AHA) in 2016, children should be consuming less than 25 grams of added sugars each day. Unfortunately, many of the foods that are marketed as healthy for children make this goal nearly possible to achieve unless you read the labels carefully. In today’s post, we’ll review some of the foods and drinks that kids enjoy the most along with their associated sugar content, and we’ll provide a few snack tips to help your child achieve optimal oral health. Alligator Dental is an experienced kids dentist in San Marcos, and if you have questions about which foods are best for your child’s teeth, we’d love to speak with you. Read on to learn more and then contact a member of our friendly team today to schedule an appointment! It is a well-known fact that sugar can cause tooth decay, but it doesn’t accomplish this on its own. Rather, consuming sugar is only the beginning of the decay process. We all have bacteria in our mouths — some good, and some bad. When you consume sugar, the bad bacteria feeds on it. During this process, acid is created and over time, and this acid is the main culprit for weakened tooth enamel. When the enamel on your child’s teeth is weakened, decay is likely to take hold and he or she is at increased risk for cavities. Rice cakes. These light, crispy treats only have about 0.1 grams of sugar in them. They make a great midday snack and many kids enjoy them with fresh fruit for breakfast. Fresh fruits and vegetables. While there are naturally occurring sugars in fruit, they are far fewer than the added sugars in processed foods. Fresh fruits and veggies are also a great way to increase your child’s fiber and water intake. Cheese. 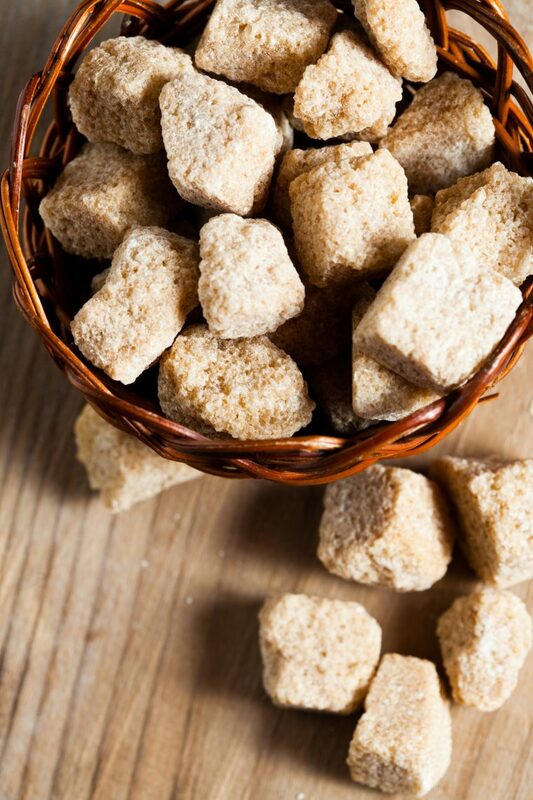 Depending on the variety your child prefers, this tasty snack often contains less than one gram of sugar per slice. Cheese is also an excellent source of protein, calcium, and healthy fats, too! Baked chips. If your child has a hard time giving up chips, switching to a baked variety can help cut the amount of added sugar he or she eats. Baked chips have about 2 grams of sugar per serving. Popcorn. This delicious salty snack is a great alternative to other sugar-laden options as it usually contains about 0.3 grams of sugar — just be sure to steer clear of the heavily buttered varieties. Lean meat. When prepared properly, lean beef, pork, poultry, and fish contain no added sugars, and because they are high in vitamins and protein, lean meats offer your child a whole host of health benefits. Water. While many parents give their children flavored water for the sake of hydration, many of the popular brands contain added sugar. Plain tap water contains no added sugars and is best to ensure proper hydration. These are just a few of the options you can offer your child when he or she is hungry or thirsty. 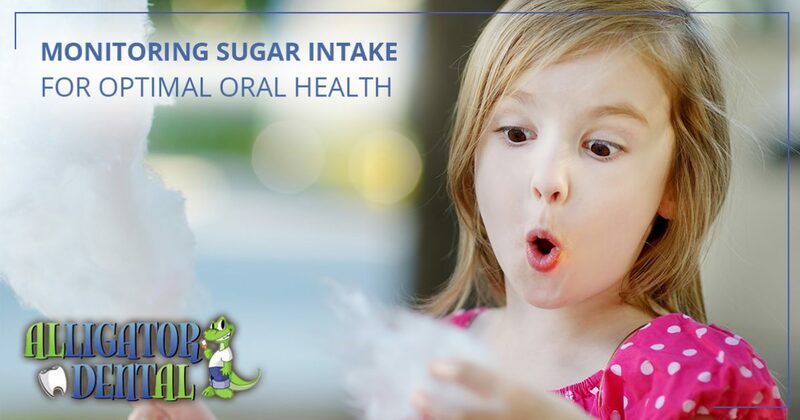 If you’d like to learn more about low-sugar alternatives for your child that will promote good oral health, speaking with a knowledgeable kids dentist about the matter is always recommended. Are you searching for a fun and reputable kid’s dentist in San Marcos? The friendly staff at Alligator Dental would love to meet you! From routine cleanings to emergency care, we provide all the dental services you need to ensure your child’s smile stays bright and strong. Additionally, we are always happy to speak with you about dietary choices that are beneficial to your child’s oral health. Call us at 512-393-3500 today to schedule your child’s appointment!